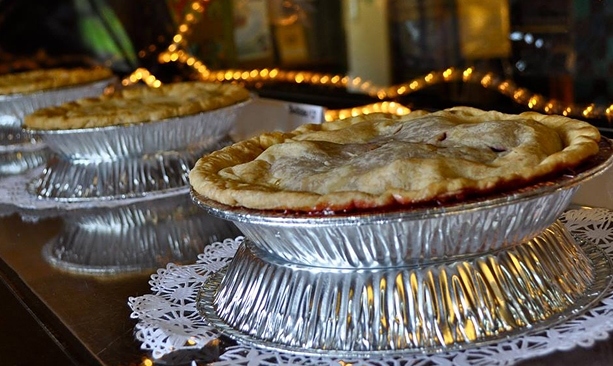 The Apple Valley Country Store offers jams, jellies, pies and a legendary huckleberry milkshake. 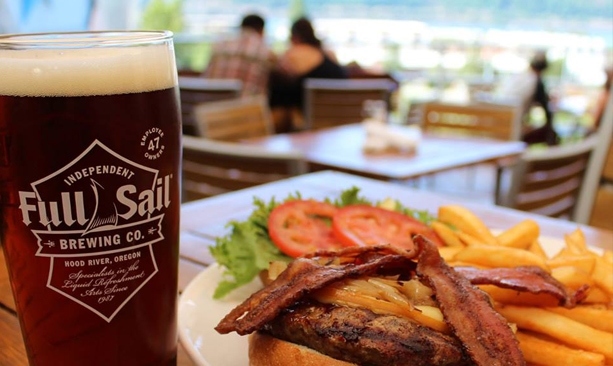 Don't miss a stop at Full Sail, one of the breweries that started Oregon’s beer revolution. Bette’s Place: This Hood River diner has been a breakfast institution since they first fired up the griddle in 1975. Bette’s is still owned and operated by the same family. Don’t miss the fresh baked cinnamon rolls as big as a dinner plate, sandwiches and fruit pies made with bounty from the Hood River orchards. Full Sail Brewing Company: Full Sail was one of the breweries that started Oregon’s beer revolution. Founded in 1987 in a derelict cannery in Hood River and honoring the then new wind sport culture, Full Sail is still going strong 28 years later. Try the old stand-by Full Sail Amber or light and tasty Session Lager. 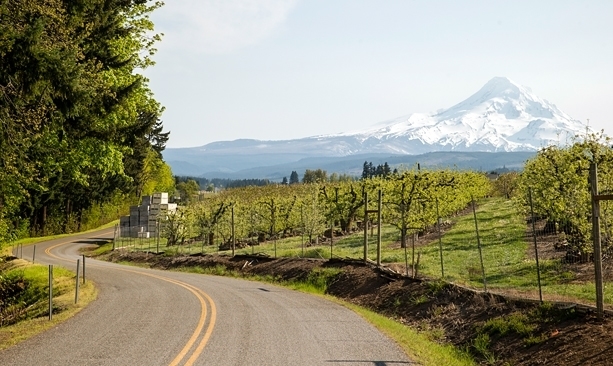 Apple Valley Country Store: Summer is not officially in session without a huckleberry milkshake from Apple Valley Country Store south of Hood River just past the Tucker Bridge. The shop also carries jams, jellies and pies made from fresh local fruit and terrific barbequed meats on the special event weekends. East Wind Drive-In: Long before it was made famous by “Wild,” Cheryl Strayed’s memoir of her journey along the Pacific Crest Trail, this little drive-through/walkup burger joint was lining ’em up for fast burgers, hot fries and towering soft-serve ice cream cones. Tad’s Chicken ‘n Dumplins: First opened in the 1920s, Tad’s offers roadhouse fare and hospitality to Gorge explorers alongside the Sandy River in Troutdale. Don’t miss the signature Original Chicken ’n Dumplins and the Chicken Fried Steak. Barlow Trail Roadhouse: From the same era as Tad’s, this Welches roadhouse first opened in 1926 to feed travelers coming around the south side of Mt. Hood. Stop for a breakfast of Avalanche Biscuits and Gravy or the Volcano Scramble. Big Jim’s Drive In: Big Jim’s has been pleasing palates at the east end of The Dalles since 1966. Drive through or walk in for burgers made from Pacific Northwest beef, house-made chili and homemade tartar sauce and dressings. Don’t miss the chocolate peanut butter milkshake and the Jim Dandy Burger with tater tots.